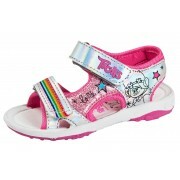 We are pleased to be able to bring you these childrens sandals. They are fastened with a small, fully adjustable buckle and are very easy to take on and off and are a fantastic fit for all widths. The sandals are decorated with a lovely, bright floral pattern. These beautiful sandals are perfect for taking on holiday and are perfect for the summer. The heel is very small and measures 2cm. 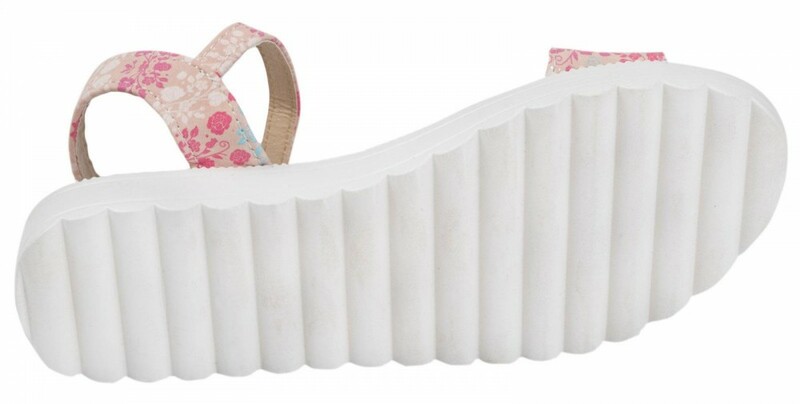 There is a very comfortable slightly padded sole. The outer sole is grooved to provide grip. These shoes are just full of tiny details that any girl will love.